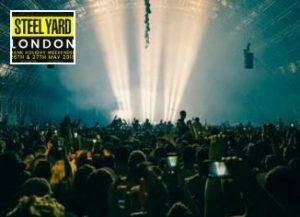 Creamfields brings its immense Steel Yard structure to London’s Finsbury Park next May bank holiday for another full-throttle weekend. Saturday’s party will be headlined by legendary trance trio Above & Beyond, with Dutch EDM and house DJ Tiësto headlining the Sunday. Having been a consistent feature of DJ Mag’s Top 100 DJs, the three have become one of dance music’s biggest names, famed for their energetic live shows and immense production. Regarded by many as the “Godfather of EM”, Tiësto has been voted “the greatest DJ of all time” in a Mixmag poll, and was also crowned the “best DJ of the last 20 years” by DJ Mag in 2013. If you’ve ever seen him live, you’ll know why he’s held in such high regard. The Steel Yard, at 20m high and able to accommodate 15,000 ravers, was designed and created exclusively for Creamfields, and is currently the largest of its kind in Europe. Pair that with an unrivalled dance line-up, and these are two parties that’ll capture every dance fan’s imagination.